It is common knowledge that when a book becomes successful, when it's movie comes out; it receives a lot of publicity. Be it Shakespeare, Charlotte Bronte, Charles Dickens or the more recent Roald Dahl, J.K Rowling and Stephenie Meyer, the books always create the spark, and the movies receive the sparkle. In the reproductions of Shakespearian plays and Dickens novels, it all depended on the actors being able to perform to the expectations of the readers who have a set image of the characters in their imaginations. In the graphic novel reproductions, the directors depended on heavy action sequences to enthrall the viewers. And in the Harry Potter and Twilight movies, the directors just needed the actors to know how to act. And yet, on some level, we have all been disappointed by these movies because they're just human, not nearly as complex as our imaginations had shaped the characters to be. The success of a book is most often in the ability of the writer to create characters we can imagine living in our neighborhood, sharing everyday life with us in ordinary places but doing extraordinary things to encourage us to do the same, and that feel is very rarely captured on film because it has so many variations among individuals. And then sometimes there comes up something to the contrary. About six months ago, after we saw the end of the OC era, almost immediately, a new show hit the radar. 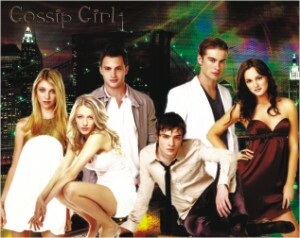 All over the place was the excitement of the hit new show, Gossip Girl. It was a contagious disease in the air. Any one who stepped close to a fan, instantly felt obligated to watch. I eventually succumbed and watched a few episodes and found it strangely confusing but strongly addictive. And then came the surprising news that this show was actually made after being inspired by a series of books by a writer named Cecily von Ziegesar. Curiosity led me to some of the books in this series from a friend and I started to read, realizing that the hype we give to media representations of our favorite novels work the other way around too. It was a intriguing to me that the book didn't come to my attention before the show did, because it did come out first, but after reading the first book, I quickly realized why it hasn't hit Bangladeshi teens so candidly as yet. In simple terms, the books personify the typical modern teenager, given all the luxuries life could offer, and hence, spoiled silly, with the exception of a few under privileged kids (and yet, not- so- under privileged) to compare them to. The books confused me because once again, like in the books that got turned into movies, there was a large gap between the characters in the show and the books. The characters in the show suddenly became completely different, basically nicer than their counterparts in the books. The whole plot and many secondary characters were drastically different. It was like knowing someone for a while and finding out that person was a fraud using someone else's name. It was as if the media version was softened a great deal to mask the darkness and bitter honesty surrounding the ugly reality in the content of the story. But there were a few similarities. Like the show, the books tell about the desperate, silent battles that go on beneath the teenagers' perfect lives over matters such as social status, relationships and who wore the more glamorous outfit to a party, only the books show the consequences of these battles in more gruesome detail. While reading the books, I imagined girls everywhere reading these books and comparing themselves to these characters. And what's scary is that these characters may be unrealistic, but their definition is derived from our own behavior towards survival in today's world. Which makes me wonder, are characters that are dignified and solid on morals, becoming a thing of the past? Are our idols joining Cinderella, Snow White and such other examples of “fantasies” in history to make room for the new icons for future generations? Is the good girl image now history? The Gossip Girl books are strong, but basically a good read. It's just that the characters confuse you and erode a lot of your interest when they're so different. If the similarities are not maintained, why do they even have the same name? After all the glittery vampire nonsense of the Twilight series, some old-school medieval fantasy seems just the thing to clean one's system. Christopher Paolini blazed into the literary scene in 2002, when his debut fantasy novel Eragon became a bestseller. The novel, which talks about the adventures of a young boy who finds a dragon egg and becomes a Dragon Rider trying to free the Empire from the tyrannical Emperor Galbatorix, spawned a sequel (Eldest), and a movie. 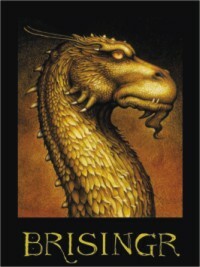 Brisingr begins right after Eragon's stunning discovery about his past, and his encounter with Galbatorix’ new champion. Several quests and promises lie heavy on his shoulders. He must help his cousin Roran rescue his ladylove Katrina who has been kidnapped, he must help the rebel armies of the Varden and the elves in their fight against Galbatorix, as an adoptee of the dwarves, and he has made promises to them all. Above all, he needs a sword. Without spoiling the story any further, let it be said that this novel concerns itself with politics within and between the different groups. The plot moves inexorably towards a final conflict, and both sides prepare themselves. The characters in this book have matured a lot since the prequels, and their lives are more complex because of it. The elf princess Arya continues to frustrate Eragon by not returning his affection, although her attitude gradually softens somewhat. Roran, after going through blood and fire for his love, must now fight with all he has to protect everything he loves. The story reads like a fanfiction of Lord of the Rings, with a little bit of Philip Pullman's Dark Materials series thrown in, and one might even find Rowling's touch in the characterization. As the characters in this book are older and more mature, the canvas of their experience is wider, and more detailed, and thus this novel is a lot more political than its precursors, which makes for a fascinating read if one is so inclined, although some may find it tedious. If there's any real beef with this story, however, it Paolini's annoying habit of slipping into archaic language, and the fact that he builds up an unbearable amount of tension, only to frustrate the reader by saving the big push for the final novel, which is yet to be released. Nonetheless, with some kickass fight scenes, angsty romance, suspenseful moments, and just the weirdly wonderful landscape, Brisingr will not disappoint...too much. Out of the small green gate they came out in small clusters and took to the streets clustered with traffic. I couldn't help watching through the windows of my car, the transparent glass separating them from my world. I watched the kids stream out from the small kindergarten section of a large school, their navy blue uniforms somewhat dirty and crinkled from the course of the day. Compared to their uniforms, they were energetic, narrating the day's events with gusto. The parents or drivers who had come to pick them up were half-listening and half-busy in carrying their small schoolbags that would soon cease to be small anymore. The guardians all had vague smiles on their faces, the kind that we have when we wake from a dream that is so beautiful that we would rather it does not come true. The children held packets of Mr Twist, probably unable to finish their school snacks in time, their fingers still hunting through the packets in search of that extra spicy chips hidden in its recesses. With their other hand they clutched the larger hands of their parents or drivers, occasionally detaching it to scratch their heads. The girls had their heads tied in small ponytails erupting like fountains on the top of their heads, or in cute but by-now-messy braids. The boys had apparently let their mothers smooth their hair first thing in the morning, judging by their neatly combed-and-parted hairstyles. They hadn't discovered hair gels and bangs yet. One of them tripped and started crying, fat little tears oozing out of her eyes, pointing out imaginary injuries in her knee to her guardian, while another eyed the jhalmuri stall nearby. 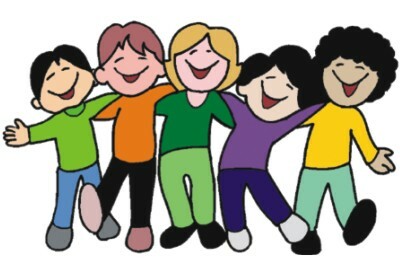 The cars honked and the some of the drivers swore themselves hoarse, but the children were oblivious to everything else. Their stomachs slightly bulging with baby fat, the kids let their parents steer them safely across the road. All that would change soon. Or maybe they wouldn't. But for now, they were a delight to watch.